It’s already been stated multiple times that all three Galaxy S10 devices will use Samsung’s new Infinity-O displays. But according to tipster Ice Universe, the larger Galaxy S10+ will require a slightly more unique cut-out. If previous leaks are accurate, the Galaxy S10+ will make its debut next year with two selfie cameras. The first will be a regular sensor while the second will support wide-angle shots. Naturally, this means that one camera will be bigger than the other – different sized cut-outs would be required. 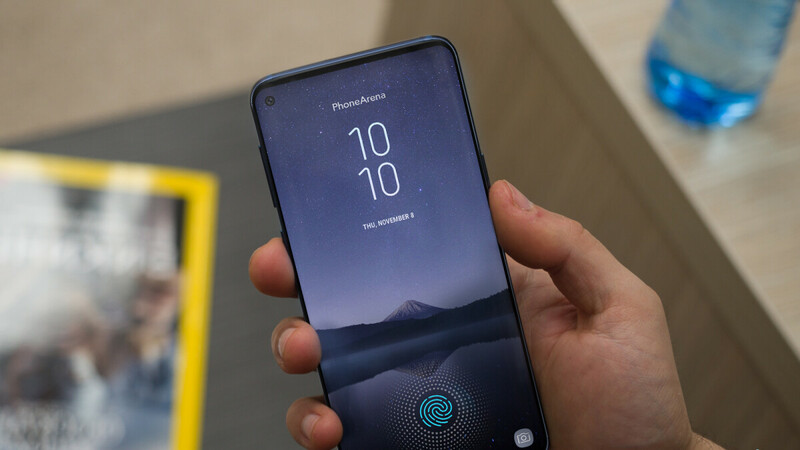 Because of this, and in the hope of maintaining a cleaner design, Samsung is said to be using a pill-shaped hole on the display of the Galaxy S10+ which will incorporate both front-facing cameras. Aside from the different cut-out and two selfie cameras, other Galaxy S10+ differences are rumored to include the presence of a triple-camera setup on the rear. Furthermore, it’s claimed that the device will arrive with a large 4,000mAh battery and a very impressive 93.4% screen-to-body ratio. However, it’s worth noting that this particular model will share most of its specs with the other models. On the inside, all three Galaxy S10 smartphones will boast either the new Exynos 9820 or the upcoming Snapdragon 8150. Furthermore, Android 9 Pie complete with Samsung’s new One UI overlay should come pre-installed straight out of the box. LOL Yep, when apple do it, it will be the beat thing on earth, Oh wait, apple doesn't cope what am i saying. Oops That is, when apple does it and copy. So damn excited for these phones. I’m normally a Note guy, but I might cave early and get an S10 Plus. I would wait to see what the Note brings. Maybe they'll use the new infinity screen for that one and skip this cut out crap. Doubtful. The Note has almost always followed the S series in general design. If the S10 has a cutout, you can rest assured that the Note will as well. Holes in the display area just as dumb as notches. They've already got the best design with the S9/Note 9.
for advanced face unlock notch is better option. And you know this how. An under the display fingerprint scanner is a better solution than that ugly rabbit ears crap. of course FPS is already there...face unlock for less "hassle" let's say it that way. Is anyone doing an advanced face unlock feature that is truly secure? I haven't seen one yet. IDK. The people who can easily see 4K pixels this will be a distraction for sure. Like a big dead pixel looking back at you. It's a distraction for anyone who isn't totally blind. Less distracting than a notch. Very true but still not an ideal design choice. Samsung trying so hard to avoid copying the iNotch like the other 99% of android OEMs, they stubbornly use something even worse. Well, well that is really easy and it's work for any phone made by any company. Notch = not gonna spend my cash on a crippled phone. Hopefully, Note series will not be crippled as well. When 5g mobile is coming in India?